With so many projects going on around the house at the moment (next week the floor in the back spare room is being replaced and we’re currently in the middle of revamping our patio), I’m a little obsessed with finding lovely bits and bobs for our home which don’t break the bank. 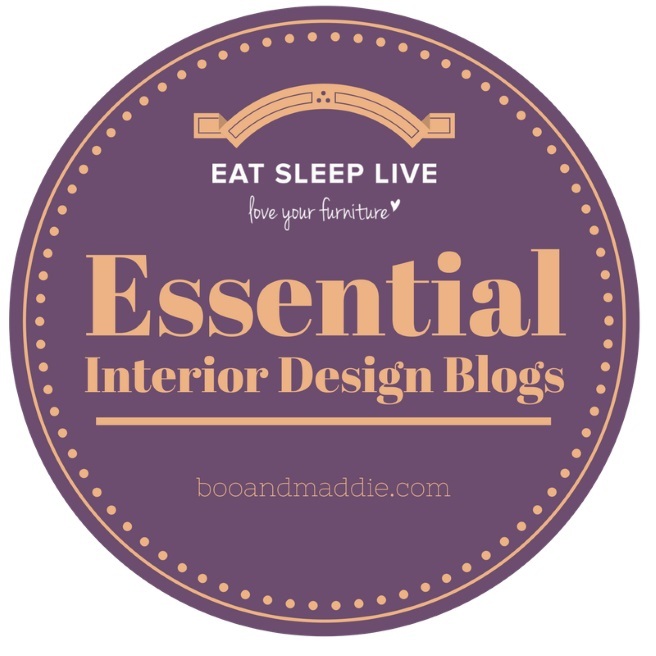 After all, we need the serious money for things like a new front door, en suite makeovers and extensions so as much as I want to buy all the finishing touches we’re on the tightest of tight budgets. One of my favourite go-to places to find pretty pieces without spending a fortune is Clas Ohlson which depending on where you live, you may or may not have heard of. Originating from Sweden (what’s not to love right?) life began for Clas Ohlson all the way back in 1918 as a mail order business and today they offer products and services for the small everyday practical problems, in five countries via more than 200 stores and online. We’ve shopped regularly in the Kingston branch and love the accessibility of finding a high street shop that sells everything from screws to barbecues without the need to travel out of town – in this era of “improve don’t move” it surprises me just how hard it can be to find everything you need for a DIY project in one location and as someone who can drive but hasn’t for ooh, about 15 years now (that in itself is worthy of a separate blog post!) I get frustrated with struggling to find all I need on the high street. 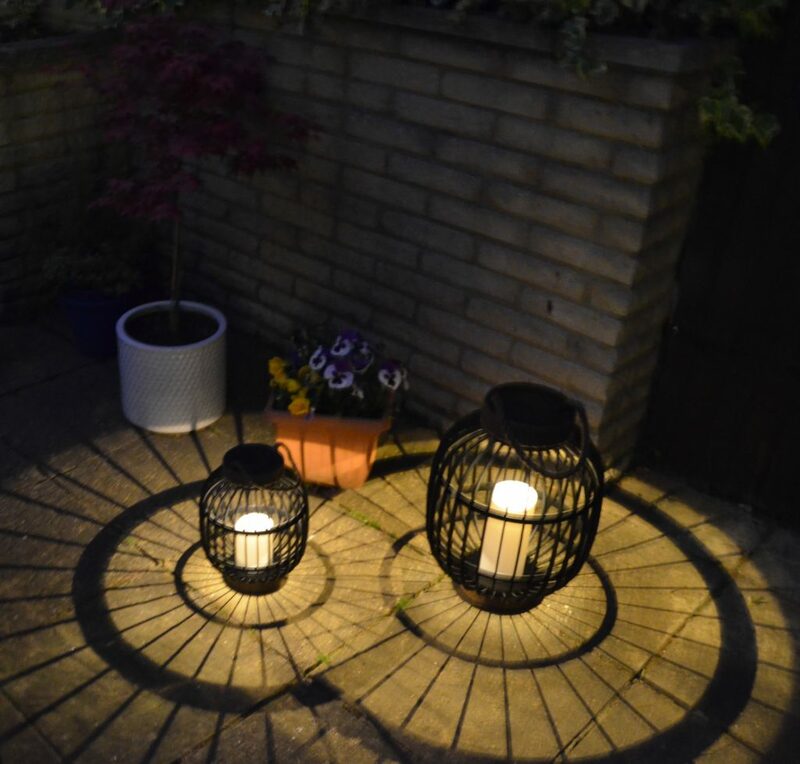 When Clas Ohlson recently got in touch asking if I’d like to pick some items from their store for our home, I chose these beautiful solar basket lanterns for our patio makeover AND they’ve very kindly offered readers £50 to spend online too! If you’d like to win, just complete the Rafflecopter below by May 31st and a winner will be picked after that date. This competition is open to UK entrants only. I would buy some water colour paints as I enjoy painting in the garden during the Summer and need to stock up! Thank you! I’d spend the £50 by putting it towards the Sony BDP-S1700 Blu-ray Disc Player! Oh gosh, I love Clas Ohlson! I love all their stuff, but with £50 to spend I’d make a beeline for a few garden bits (like those lanterns!) and some lovely bits for my new kitchen. 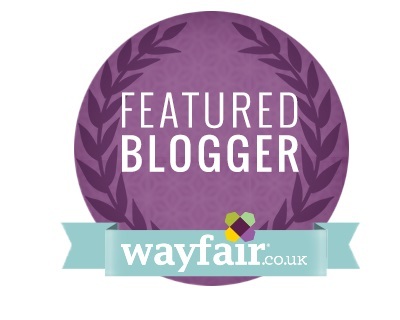 I was eyeing up some copper coloured bowls and storage jars in my local store the other day! If I was lucky enough to win I would definitely be putting it towards a Asaklitt Rocking Sun Lounger . It looks amazing and perfect for lazy summer days when the children are at school. I’d get a Seagate Backup Plus External Hard Drive. I love the lanterns and also need do nice pots for the garden and house plants, endless list! We need to do some decorating inside and in the garden so would probably get some paint. The brazier is lovely and I’d have to get the grate too for doing some outdoor toast on – then splurge the rest of the voucher on bits and bobs! 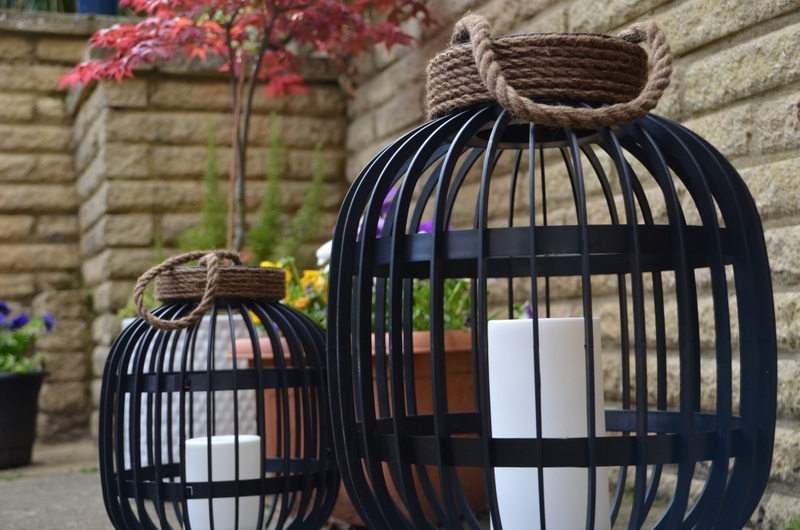 These lanterns are absolutely gorgeous, they’d look lovely in my patio! The solar basket lanterns are amazing, I think I would choose those! I think I’d buy the copper lantern table lamp. Lovely prize. I’d pick up a portable barbecue that we’ve been eyeing up in the Leeds store and buy a few other garden accessories for Summer. Our newborn is due in a few weeks so it’d be good to spruce up the garden a little bit before he arrives so we can enjoy it as a family of 3 (British weather permitting!). Love the silver graphic lantern so at least a couple of those. Two of the Super Bright PIR Solar Garden Lights would be perfect for my little patio. I would spend it on outdoor furniture as we need to improve our garden. I’d put it towards an alarm. I’d get the Wireless Stereo Headphones for my daughter who is forever breaking hers. I would use the money to purchase the Asaklitt Rocking Sun Lounger although I would then probably have to fight my husband and daughters for it! i would spend it on a ‘move it bbq’ and a ‘vertical chicken roaster’ and a ‘letter box’.